Journal of NanoScience , NanoEngineering & Applications (JoNSNEA) ) is a print and e-Journal focused towards the rapid publication of fundamental research papers on all areas of Nanosciences and Nanotechnology . The journal publishes contributions in form of research and review articles. Journal of Refrigeration, Air Conditioning, Heating and Ventilation (JoRACHV): is a print and e-journal focused towards the rapid publication of fundamental research papers on all areas of Refrigeration, Air Conditioning and Heat Ventilating. Research & Reviews: A Journal of Drug Formulation, Development and Production (RRJoDFDP) is a Journal focused towards the publication of current Research/Review work carried out in area of Drug Formulation, development and production. 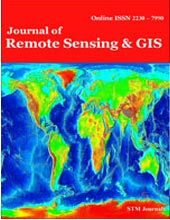 Journal of Remote Sensing & GIS (JoRSG) is a print and e-journal which contains good quality- original research papers, review papers, short communications and book reviews that focus on practical and theoretical issues , collection, analysis, modeling, interpretation and display of spatial data, connections between GIS and related technologies and also new GIS applications which help to solve current issues & problems. 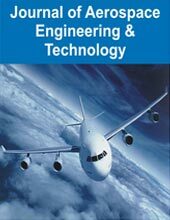 Journal of Aerospace Engineering & Technology (JoAET) is focused towards the rapid publication of fundamental research papers on all areas of Aerospace Engineering & Technology.